The Lloyd Center/NE 11th Ave MAX Station will close for up to 12 days, Monday, Aug. 10 through Friday, Aug. 21, as we lay the foundation for TriMet’s future state-of-the-art electronic fare system. Crews have been hard at work this spring and summer putting in equipment that will power our e-fare system when it comes on-line in 2017. Installation has been completed at 43 of the more than 90 MAX and WES stations. 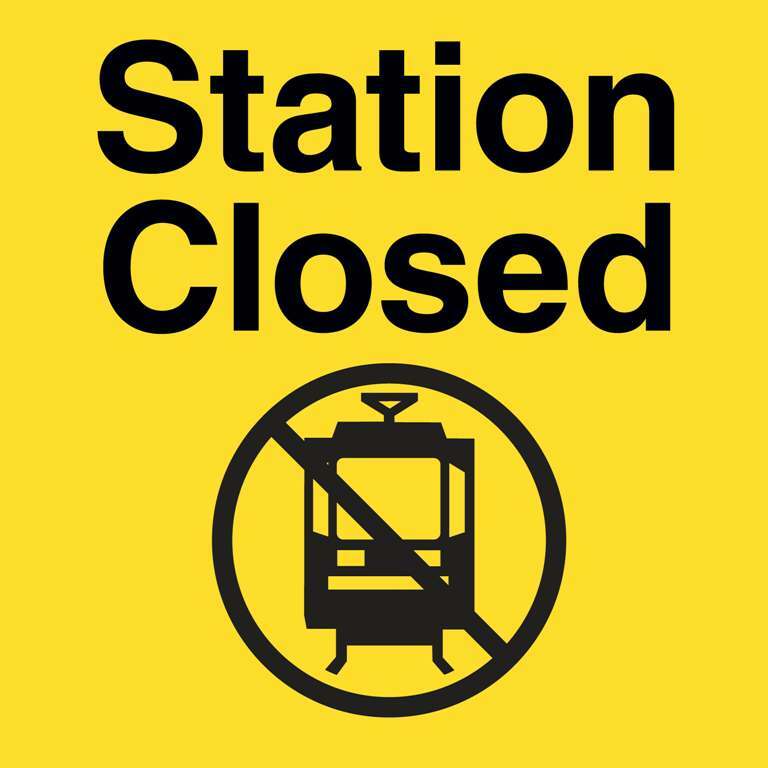 The majority of platforms stay open during the construction but for safety, due to heavy use and close quarters, the Lloyd Center platforms need to be closed. Use the nearby NE 7th Ave MAX Station to board east- and west-bound trains during the closure. While the e-fare work is underway, other crews will install wires and cables that will lead to future amenity upgrades, including the addition of digital information displays. Completing all the work at the same time will lessen the impact to riders in the future. In May, crews blocked off a small area of the platform while they trenched and put in the conduit to power e-fare readers at the Civic Drive MAX Station. E-fare construction also is underway at stations in the Portland State University area as well as in Beaverton and Hillsboro. 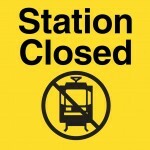 Those stations are open during the work with small areas blocked off. 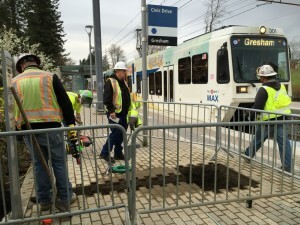 The installation has been completed at all the Green and Red Line stations along I-205 other than the Gateway Transit Center, as well as all Yellow Line stations in North Portland. Multiple crews are doing the work in order to complete the initial construction by the end of the year. Riding buses and trains will be faster, easier and more convenient with e-fare. Simply tap a transit-only smartcard, a contactless payment card or a smartphone equipped with near-field communication against a card reader to pay your fare.